By the end of 192, Britain had a new governor, Decimus Clodius Albinus, who had been brought in from the North Africa province. Soon after he took office, the Roman Emperor Commodus was murdered, thereby setting in motion a chain of events that would alter the whole Roman world. The previous governor, Pertinax had moved to Rome and had taken on the task of reforming the structure. His record of losing the support of the legions in Britain did not endear him to the senate, in particular the praetorians. The same praetorian prefect who had arranged for the murder of Commodus set his assassins after Pertinax. What am I bid for this throne? Then the most cynical act in Roman history took place. The praetorians put the throne up for auction. Whoever was the highest bidder would buy the throne This was Didius Julianus who was a hugely wealthy senator and wielded considerable influence in roman society. The army did not like this new attitude of what they saw as mercenary praetorians selling the highest prize in the land and using murder to achieve this. In Pannonia the legions presented a commander, Septimius Severus, and declared him as their new emperor. This must have been a coordinated act, as the army in Syria installed Pescennius Niger as their emperor. In Britain Clodius Albinus was proclaimed as the leader. There was unrest in the Roman Empire and it was not long before the worst kind of conflict broke out. Civil war is the worst any country could suffer, as it's own people fight each other, often with families split down the middle. The first move was by Severus, who marched on Italy, who was physically the closest of the thrones claimants. This action scared the praetorians, who sided with him. The senate then performed a U-turn and rounded on Julianus. In an action designed to pacify the approaching armies his was assassinated in the palace. This happened six months after the murder of Commodus. Severus was now had control over the government. He had been planing this for some time as he instantly offered Albinus the title of 'Caesar', one of the highest accolades anyone could bestow. With the British governor having such a carrot dangled in front of him, this prevented the British army from attempting to overthrow Severus. Now the current Roman ruler could turn his attention to the threat from Niger. In the next year, Severus fought Niger's army and being victorious, chased him and then had him killed. In a sudden change of tactic, Severus then removed the title from Albinus. This was not taken lightly in Britain, which meant another civil war would not be long in coming. The writings now are vague, thought Herodian quotes Severus sending agents on a mission to kill Albinus. This failed, either because Albinus had advance warning, or he had planned this as a possible scenario. Either way he escaped to Gaul. Severus then took the next step of persuading the Senate to declare Albinus a public enemy. After searching for Albinus, Severus' troops fought him in battle, in which they lost. The following year, 197, the two armies again engaged in battle near Lyons. Dio writes that there were 150,000 men on each side. These figures would be difficult to believe as Albinus would have taken his army across the Channel. No mean feat considering the number of ships this would have required. 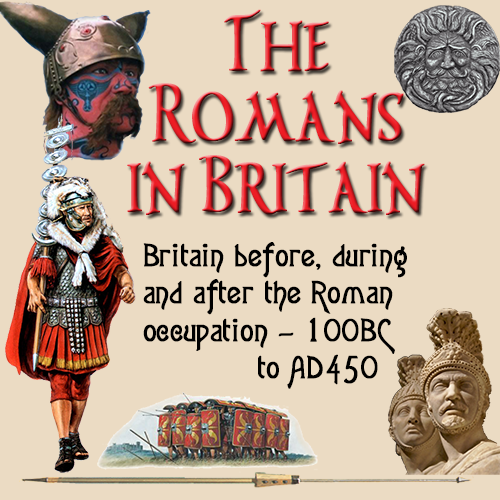 Indeed there were only 50,000 Romans in the whole of Britain at that time. If these figures are true, then Albinus must have been very successful in winning over the troops in northern Europe. Albinus had gained the support of one legion from Spain, the VII Gemina and the unit stationed at Lyons. There had not been open warfare on a grand scale in northern Europe and Britain for over a century. So any troops Albinus had under him, would be well trained but not experienced in battle. A fierce battle took place, with both sides evenly matched. It could not have been an easy task for either side. Previously the Romans had only fought tribes who were less well trained and had inferior tactics and weapons. Now this was a battle between two armies of equal ability. The eventual outcome was a win for Severus, possibly due to his troops having been stationed closer to Rome. This had given the advantage of battle experience during their pervious wars with the German tribes. What happened to Albinus is not know, safe to say he did not survive the battle. A defeated Roman commander would usually take what was considered to be the honourable action of committing suicide. If not, then the enemy would have certainly killed him. From here Severus moved on to Britain and assumed control of the country. Judging by records, the size of the Roman army was definitely depleted due to Albinus having taken them to the continent. It is widely believed that he took mainly auxiliary units, so as not to leave Britain in a state where the tribes would seize the chance to revolt. Even so the historians disagree on events that happened at this time. Hadrian's Wall was repaired under Severus, though this may have been necessary anyway as the wall was now over 75 years old. Much of it would have been battered by severe weather, and the northern tribes may have launched minor assaults on it. During the civil war, the wall had been partially abandoned to supply troops and the northern barbarians would have seized on this chance to see what they could do. When Severus came to Britain, he appointed Virius Lupus as governor. This most certainly the same Lupus that Albinus had defeated in his travels through Gaul. His first act was to round up all the supporters of Albius and have them executed. He also confiscated their possessions. Britain was still regarded by Rome as a prize and so Sextus Virius Marcellus a provincial procurator to handle the financial affairs. He was a man well experienced and honest, an advantage for someone so far from the capital of the empire. he and his successor, M. Oclatinius Adventus were more severe in the collecting of taxes from the British upper class. Much property was taken at that time, thereby increasing the wealth and control of the Romans, and decreasing the strength of the Britons. Dio writes that the tribes north of Hadrian's Wall had now formed themselves into two main factions, the Caledonians and the Maetae. Not wanting to start another war with his forces depleted by commitments elsewhere, Severus took the most non violent way out and bribed the Maetae who then agreed to a peace. This would not have happened without the emperor's approval, so they obviously wanted peace at any price. Towards the end of the second century, the situation in Britain was becoming harder to control. The paranoia that had gripped the nation after the Scots had breached Hadrian's wall and the subsequent desire to create walled towns had to be toned down. As is the case with difficult situations, a new governor was appointed, Helvius Pertinax He had already served in the province twice before and so knew the people and the country well. He started his governorship well. The army was in a state of unrest and was low on morale, following the previous governors incompetence. The troops had put up a candidate for the role of emperor such was the desperation amongst them. The new governor managed to pacify the army leaders, taking care to pay close attention to the ringleaders and the rank and file troops. This does not seem to have been fully successful, since there is a report that a legion mutinied, killing a large number of people. The personal bodyguard of Pertinax was said to have an attempt made upon his life, but it is known he recovered from his injuries. This did not fair well with the Senate, who had the governor removed in about 187 using the reason that he had lost credibility with his army. The forces in Britain had lost interest in their leaders and the cause.